LEARNING EXPERIENCE September 23/26 – The PREZ! | AMERICAN HISTORY RULES! ← Federalism .. or should it be called Funfederalism? LEARNING EXPERIENCE September 23/26 – The PREZ! We will see this joint in April! 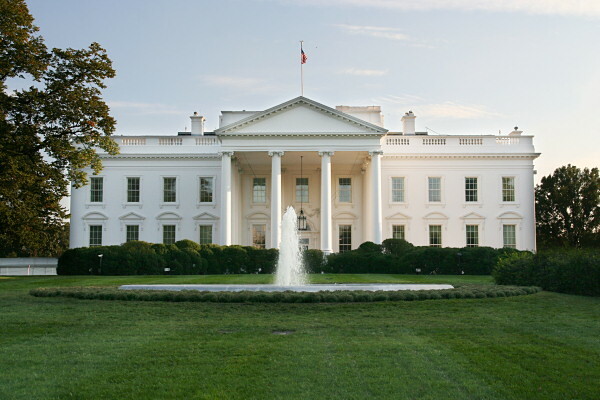 We have hit the basics of Congress – so now it’s time to head to 1600 Pennsylvania Avenue! To prepare for our next class, you have some “must dos”, some “can dos”, some “fun dos”, and some “holy smokes I really love this government stuff dos”. MUST DO – Complete Article II of the Constitution analysis, focusing on the targets – it’s so much shorter than Article I! Also, pay some attention to the news to see what President Obama is doing, not doing, saying, and not saying. IF YOU CAN, complete ARTICLE III as well! CAN DO – If your class was able to see the hats of the President, let’s see if you can apply your knowledge. Check out the 7 Hat Challenge from Scholastic for about five minutes – see how many you get right! You can also watch Crash Course – Presidential Powers for some more info! HOLY SMOKES I REALLY LIKE THIS GOVERNMENT STUFF DO – Like trivia? Try out Taft’s Presidential Trivia #1? Good times learning about the Chief Executives … and I am sure there are some Jolly Ranchers in store for the people that get the answers all right!